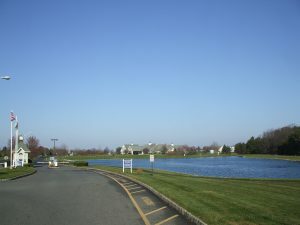 Search for homes in Lake Ridge, Toms River NJ. Call 732-616-6226 when you’re ready to see active adult community homes in Lake Ridge. 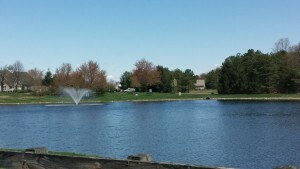 Lake Ridge is an 55+ Active Adult Over 55 community in Toms River, Ocean County, NJ. It’s conveniently located because it’s on Route 70 and Massachusetts Ave near the Manchester and Lakewood borders. It’s 5 miles west of the Garden State Parkway, exit 89. Nearby you’ll find shopping, dining and of course, the Jersey Shore. In addition, your pets are welcome at Lake Ridge. Lake Ridge has a homeowners association, therefore a monthly association fee will be assessed. The monthly association fee includes lawn maintenance and snow removal (including driveways and walkways). As a result, you won’t need to bring your snow blower and lawn mower. In addition, there’s a community shuttle bus and a 24 hour attended security gate. There is a one time association fee due at closing. This community of detached single family homes was built between 1995 and 1997. These homes have either 2 or 3 bedrooms, 2 baths and they have a 1 or 2 car garage, Lake Ridge has 7 different models and 926 homes. Home sizes generally range from about 1200 square feet to over 2300 square feet. Lake Ridge has a 15,000 sq ft. clubhouse which offers a wide range of available activities. Use the card rooms, billiards, bocci, or tennis. Additionally, there’s a fitness center. When the weather gets either warm or cold, relax in the indoor and outdoor pools. Furthermore, the grand ballroom is the place to be for dances, parties and entertainment. East/west transportation is available via I-195 or Roite 70., while north/south is available on nearby Route 9 or the Garden State Parkway. NJ Transit offers bus service on Route 9. There is also a Park and Ride located in Toms River. Ocean Ride also provides bus transportation within Ocean County. There are 12 bus routes connecting key residential areas with popular destinations such as shopping and connections to other means of transportation. When you’re ready to either buy or sell a home in Lake Ridge, contact us. Call Bunny and Art Reiman – the Active Adult Community Specialists. Info on recently closed homes in Lake Ridge? What a weekend! After we left you,we went back to the house, then back for the wedding, then back to the house early Saturday morning and then back here to the “mother” house. Talk about being busy! We are exhausted but did not want the weekend to end without saying “Thank You” again to both of you. You have done all you could to help us through this process and it has been a smooth and even pleasant one for us. Could not have been better. From our first meeting, we stated that you were all we could ever hope for in agents and that has proven to be the case. You are a very unique couple, achieving the perfect combination of professionalism with a personal touch. It comes across clearly and you succeed at it very well. We appreciate your assistance and guidance. We will refer you to any of our friends who may need of you and of course, we will contact you should we require your services again.